We know very little about our planet’s seafloor, but that’s poised to change as autonomous underwater scouting technology gets better and better. To that end, nearly two dozen teams are racing to develop robots that can investigate, map, and conduct science at extreme depths, and under serious time constraints. They’re also competing for $7 million in prize money. Later this year, 21 teams will compete in two rounds of testing for the Shell Ocean Discovery XPRIZE, which will require them to dispatch semi-autonomous robotic devices from either the shore or air, and get them to explore one pre-designated seafloor area (to be announced), with minimal human intervention—and they have to do it in less than a day. The teams will employ everything from robotic swarms and hybrid drones through to autonomous subs and arrays of aquatic sonar pods. To date, we’ve only mapped about five percent of our planet’s seafloor. There’s still plenty to learn about what’s going on down there, including geographical features, deep sea marine life, and undiscovered archaeological relics. This latest XPRIZE contest, co-sponsored by Royal Dutch Shell and the National Oceanic and Atmospheric Administration (NOAA), is meant to spur technological developments in this neglected area. It’s important to note, of course, that this contest is being co-sponsored by an oil company. For Shell, there’s a definite self-serving aspect to all of this. Seafloor exploration is an indelible part of fossil fuel discovery, and it seems the energy company is getting other people to do its R&D. The ocean floor also contains valuable metals and other resources that we’re not ready to exploit. Ultimately, this contest could enable the eventual exploitation of seafloor resources, and inevitably lead to some amount of ecological damage. A panel of judges selected 21 semi-finalists from an initial pool of 32 competitors who entered in 2015. The advancing teams hail from 25 different countries, and are comprised of nearly 350 participants (including 170 students). To meet the demands of the contest, the competing teams will deploy a remarkably diverse array of solutions, including gliders, aerial and underwater drones, autonomous underwater vehicles, artificial intelligence, and massive computing platforms. Only those teams who meet the requirements of the first stage will be able to advance to the second and final stage. For Round One, the teams will need to operate their devices at a depth of 2,000 meters (6,500 feet). No tethers or direct human intervention will be permitted, but operators will be able to control their devices from a remote base. Once the devices have been deployed, the teams will race to map at least 20 percent of a pre-designated area measuring 500 square kilometers (193 square miles) in size (that’s about ten times the size of Manhattan). The probes will be required to produce topographical maps with at least five meters horizontal resolution, and a half a meter of vertical resolution. Teams will also be required to identify and image at least five archaeological, biological, or geological features at any depth, such as sunken ships, aquatic creatures, or seamounts. Dauntingly, the teams have only 16 hours to perform these tasks. It’s not going to be easy. At these depths, communication with the aquatic devices will be difficult. At 2,000 meters, the environment is dark and cold, and the water pressure pounds down at 2,800 pounds per square inch. Of the 21 semi-finalists, only 10 teams will advance to Round Two, and share a $1 million preliminary prize. The second round is pretty much the same, except the challenges will be twice as hard; the required depth will be increased to 4,000 meters (13,000 feet), at least 50 percent of the seafloor must be mapped, and ten scientific features must be documented. Teams will be afforded 24 hours for this stage. The team that comes closest to achieving all of these goals, will be awarded the $4 million grand prize. Second place gets a cool $1 million. Scores will be awarded for demonstrating the highest resolution for seafloor mapping, and for meeting minimum requirements for speed, autonomy, and depth. To perform these tasks, the teams have come up with some rather interesting ideas. 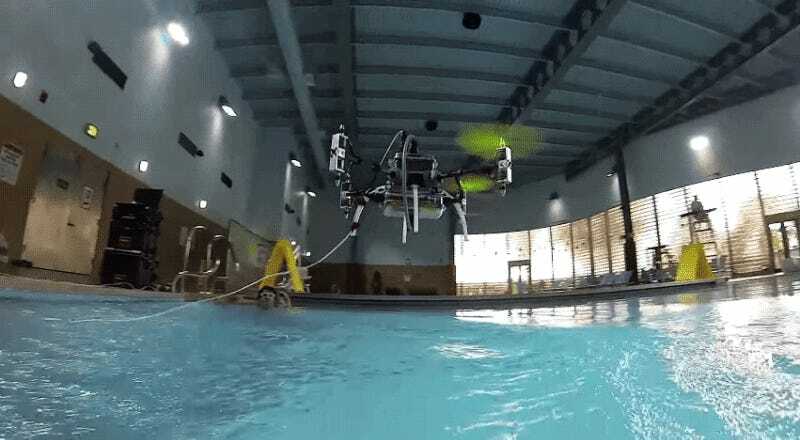 The SubUAS team from Rutgers University has developed a hybrid drone capable of flying above the ocean surface and then diving down to the seafloor. This technology will allow the team to deploy the vehicle quickly and reach the test site. Inspired by worker bees and bee behavior, France’s Team Eauligo will deploy a swimming swarm of robotic insects from a centralized “hive.” These micro-subs will share the workload, which should go a long way given the time constraint. Similarly, The UK’s Team Tao will also use swarm technology, but its solution is based on the behavior of ants. Inspired by the ancient Chinese concept of ‘Tao’, the team says it’s working with natural forces, instead of against them. The Blue Devil Ocean Engineering team from Duke University’s Pratt School of Engineering and the Nicholas School of the Environment has come up with a completely different idea. This team has developed heavy Unmanned Aerial Vehicles (UAVs) that will drop and scatter sonar-capable pods. Once they sink to the bottom of the ocean, these pods will create 3D maps of the seafloor. The devices will eventually resurface and be retrieved by the drones. Other semi-finalists announced today include Germany’s Arggonauts, who will be deploying a swarm of autonomous underwater vehicles, Connecticut’s Exocetus with its “high-efficiency underwater gliders,” and Japan’s Kuroshio, which plans to use underwater robots. 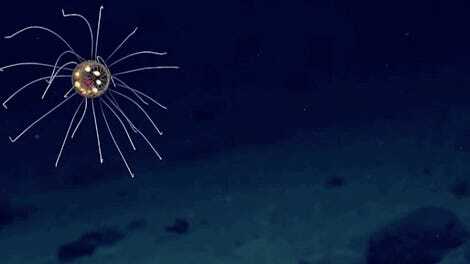 As a bonus prize, the NOAA will award an additional $1 million to the team that’s most capable of “sniffing” out a specified object in the ocean by tracing a biological and chemical signal to its source. This form of technology would, for example, allow rescuers to quickly identify the location of a plane that has crashed into the ocean, or allow marine biologists to study biologically sensitive hot spots at the bottom of the sea (such as thermal events). A dozen teams will be competing for this prize. Given the demands of the contest, it’s entirely possible that no team will hit all the marks. According to Jyotika Virmani, Senior Director of XPRIZE’s Planet and Environment domain and prize lead of the Ocean Discovery XPRIZE, that’s not necessarily a problem. “When designing the contest we try to make it as attainable as possible,” she told Gizmodo. “But there may not be a winner.” Regardless of the outcome, Virmani says, many of these teams have been in contact with each other, and the research and development in this area will continue beyond the competition. Should be an interesting contest! Round One gets started in the fall.